Tensions over the production of urban public space came to the fore in summer 2013 with mass protests in Turkey sparked by a plan to redevelop Taksim Gezi Park, Istanbul. In London, concomitant proposals to refurbish an area of the ’South Bank’ historically used by skateboarders were similarly met by staunch opposition. 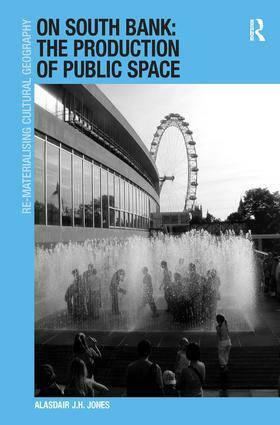 Through an in-depth ethnographic examination of London’s South Bank, this book explores multiple dimensions of the production of urban public space. Drawing on user accounts of the significance of public space, as well as observations of how the South Bank is ’practised’ on a daily basis, it argues that public space is valued not only for its essential material characteristics but also for the productive potential that these characteristics, if properly managed, afford on a daily basis. At a time when policy-makers, urban planners and law enforcement authorities simultaneously grapple with pressures to deal with social ‘problems’ (such as street drinking, vandalism, and skateboarding) and accusations that new modes of urban planning and civic management infringe upon civil liberties and dilute the publicity of ’public’ space, this book offers an insightful account of the daily exigencies of public spaces. In so doing, it questions the utility of the public/private binary for our understanding both of common urban space and of different sets of social practices, and points towards the need to be attentive to productive processes in how we understand and experience urban open space as public.